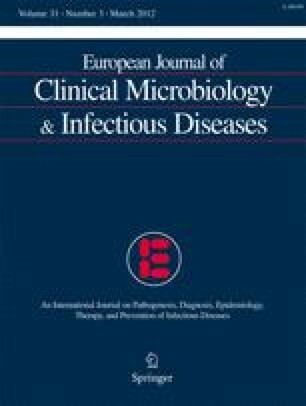 Thirteen vancomycin-resistant and teicoplanin-susceptible Enterococcus faecalis isolates were recovered from unrelated patients in three Spanish hospitals from November 2009 to December 2010. All isolates carried the vanB2 gene, showed indistinguishable or closely-related PFGE patterns and were ascribed to the sequence type ST6 (included into the high-risk clonal-complex CC2). They showed a multiresistance phenotype (erythromycin, tetracycline, ciprofloxacin and high-level-resistance to streptomycin, gentamicin and kanamycin) and harboured the aac(6’)-aph(2”), ant(6)-Ia, and tet(M)+/−tet(L) genes. All isolates produced gelatinase and harboured the gelE gene, but not the esp or hyl genes. The inclusion of the vanB2 gene into the Tn5382 transposon was demonstrated in one isolate. Clonal dissemination of vanB2-containing the E. faecalis strain is demonstrated. This work will be presented at the XV National Congress SEIMC in Malaga, Spain, June 1–4, 2011. M. López has a FPI grant of the Gobierno de La Rioja, Spain. This work was supported in part by Project SAF2009-08570 from the Ministry of Education and Science of Spain and FEDER. The authors do not have conflict of interest in relation with this manuscript.